Whole blue mussels, steamed in white wine, garlic and butter. Served with toasted, garlic ciabatta bread. Pull apart garlic bread, baked in a skillet and topped with asiago, parmesan, romano and cheddar cheese. Spinach and artichokes blended with cheese, topped with parmesan and tomatoes. Served with garlic toast points. Mushroom caps stuffed with shrimp and crab meat, topped with provolone cheese. 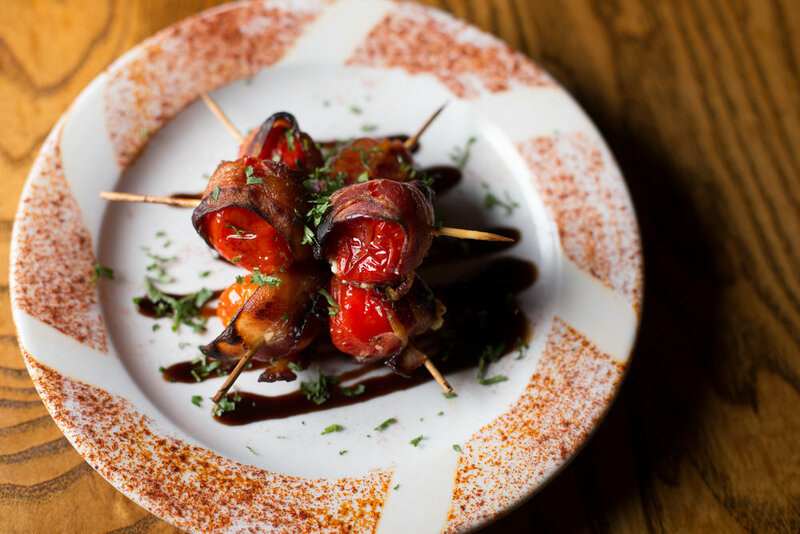 Roasted, sweet and spicy peppadew peppers, stuffed with cream cheese, wrapped in bacon and drizzled with balsamic glaze. A steakhouse classic served with house made cocktail sauce. 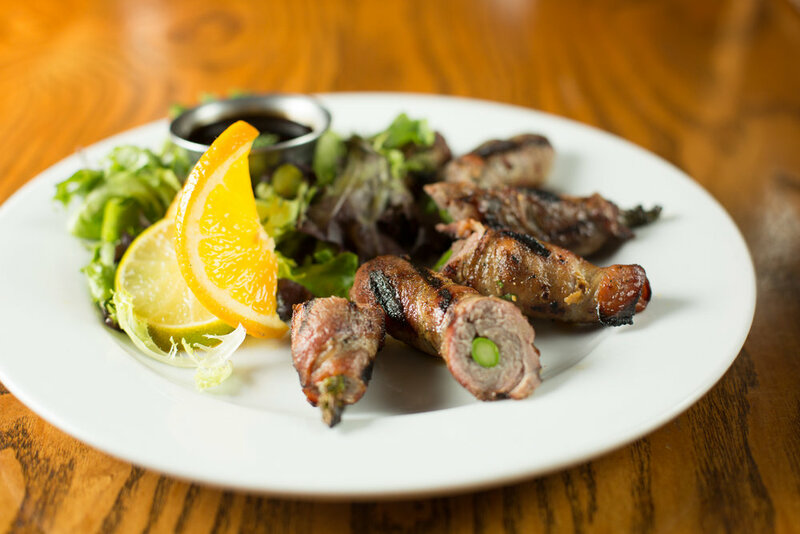 Tender roasted asparagus wrapped in thinly sliced steak and smoky bacon. Grilled and paired with a citrus balsamic sauce. Baked in garlic butter on mushroom caps, topped with parmesan cheese and served with garlic toast points. 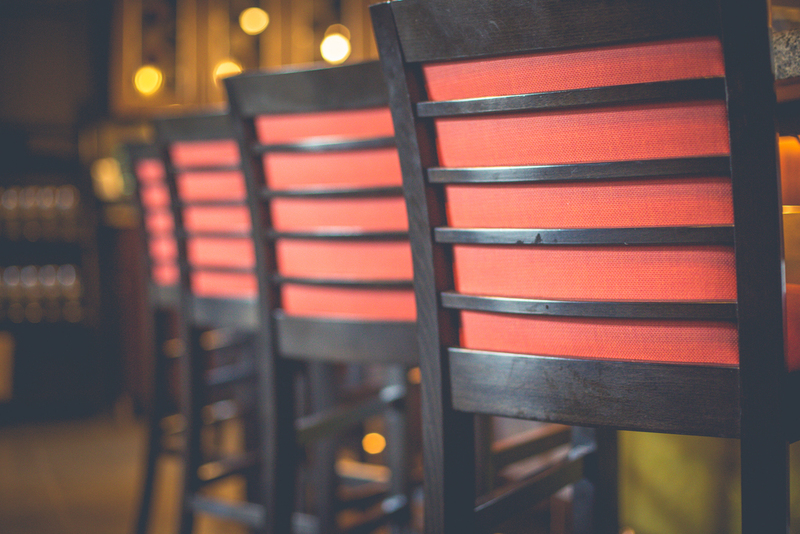 All steaks are served with a baked or sweet potato, Caesar salad, Bleu cheese wedge, honey balsamic wedge or salad bar and warm honey wheat bread. 11oz Certified Angus Beef center cut marinated in pineapple juice, soy sauce and sherry. Springfield's favorite. 6oz/8oz Our most tender steak. Hand cut and perfectly aged. Served with chef's vegetable. 120z Certified Angus Beef choice cut, perfectly aged and marbled. 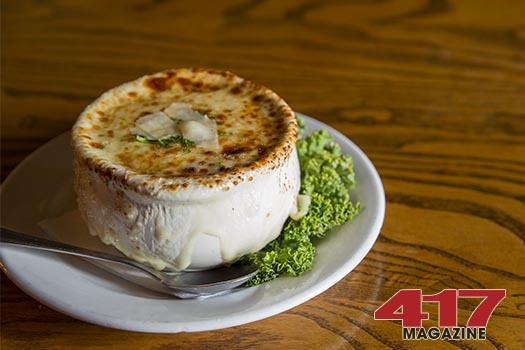 6oz/8oz Encrusted with our pepper blend and topped with brandy peppercorn sauce. Served with chef's vegetable. 8oz/12oz/16oz Slow roasted with our special blend of seasoning for ultimate tenderness. Degrees of doneness subject to availibity. 12oz hand cut New York Strip marinated in bourbon, brown sugar and onion. Brought back by popular demand. 7oz Certified Angus Beef sirloin, atop smashed red potatoes, sauteed mushrooms, onion and gorgonzola cheese, with Sam Adams cream sauce. 14oz choice cut, aged, well marbled and full of flavor. Grilled to perfection. 7oz/11oz Certified Angus Beef Center Cut. A very flavorful steak. 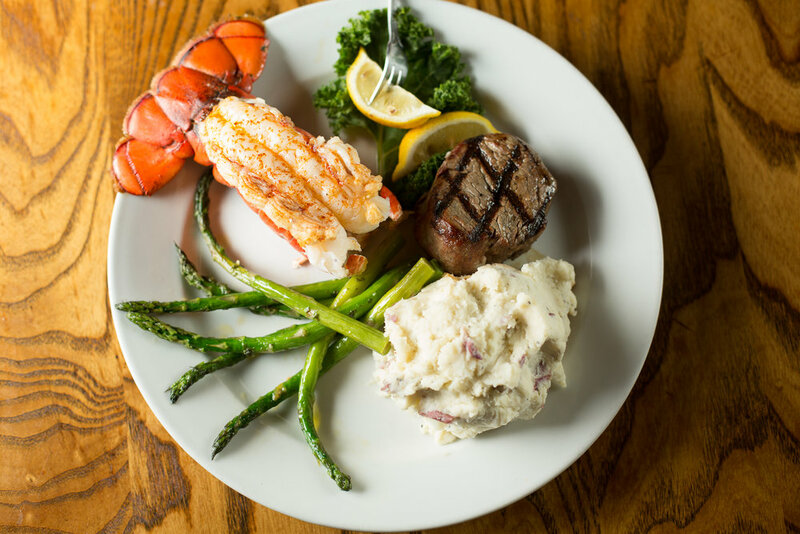 Choose any one of Jimm's hand cut steaks and add any one of the following: Shrimp Scampi 5.89, Bacon Wrapped Shrimp 4.89 or 7oz Lobster Tail 14.69. 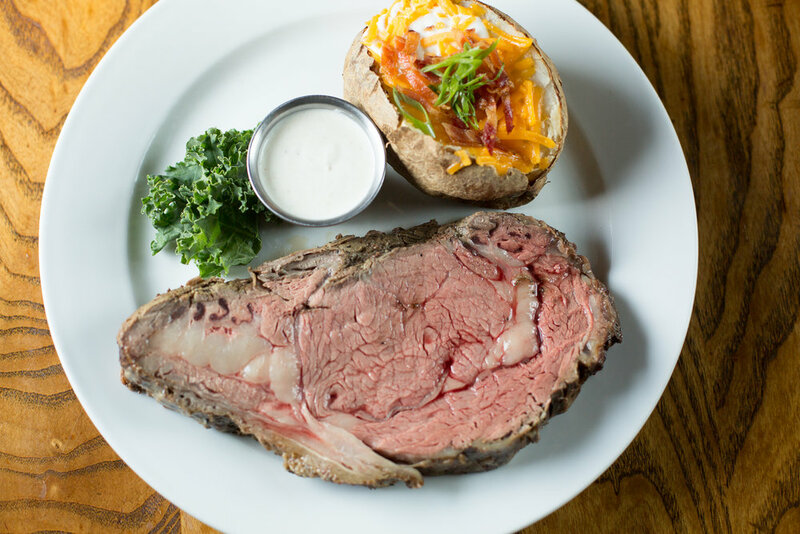 6oz/8oz Our most tender cut, butterflied and stuffed with your choice of sauteed mushrooms or gorgonzola cheese. Served with chef's vegetable. 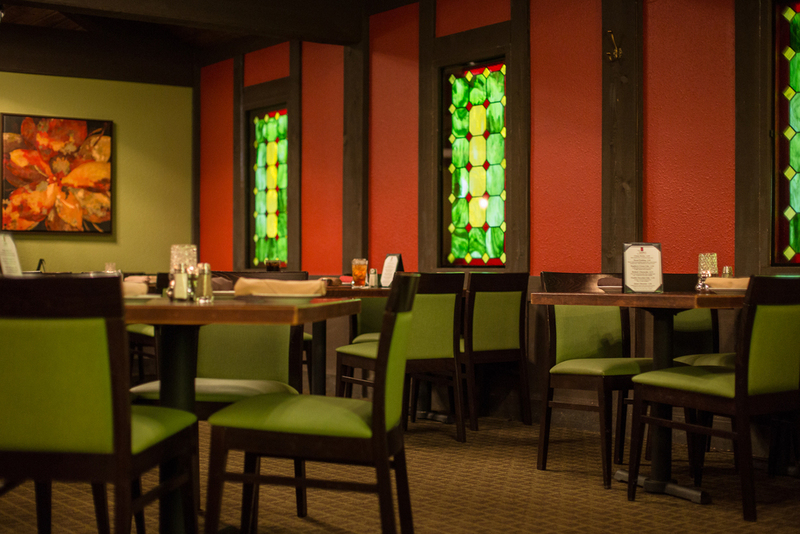 Entrees are served with your choice of our traditional salad bar, Caesar salad, honey balsamic wedge or Bleu cheese wedge and warm honey wheat bread. 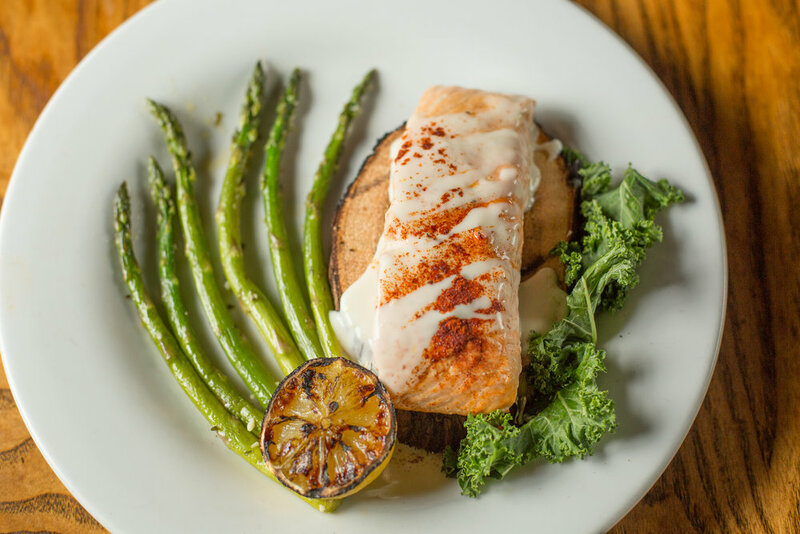 Salmon fillet grilled on a cedar plank topped with a lemon butter sauce, served with asparagus. Grilled chicken breast served on a bed of mashed potatoes, smothered with sauteed mushrooms, colby jack cheese and topped with bacon. Served with broccoli. Shrimp, lobster and scallop ravioli tossed with spinach alfredo sauce, diced tomatoes and parmesan cheese. Served with garlic toast. Jimm's slow roasted prime rib topped with provolone cheese and horseradish mayo on French bread, served with au jus and a baked potato. Grilled chicken marinated in our tropical blend, topped with a grilled pineapple slice. Served with rice pilaf. Linguini tossed in a spicy cream sauce with grilled chicken, parmesan cheese, tomatoes and green onions. Served with garlic toast. Two 7oz cold water tails served with asparagus and a baked potato. 9 large shrimp, wrapped in bacon, served on a bed of rice pilaf with steamed broccoli and a pesto lemon butter sauce. A house blend of Angus beef and chorizo sausage, wrapped in bacon. Served with mashed potatoes and chef's vegetable. 8oz Salmon filet, grilled with a bourbon pecan glaze, topped with candied pecans. Served with choice of potato. A thick, center cut, bone in loin chop. 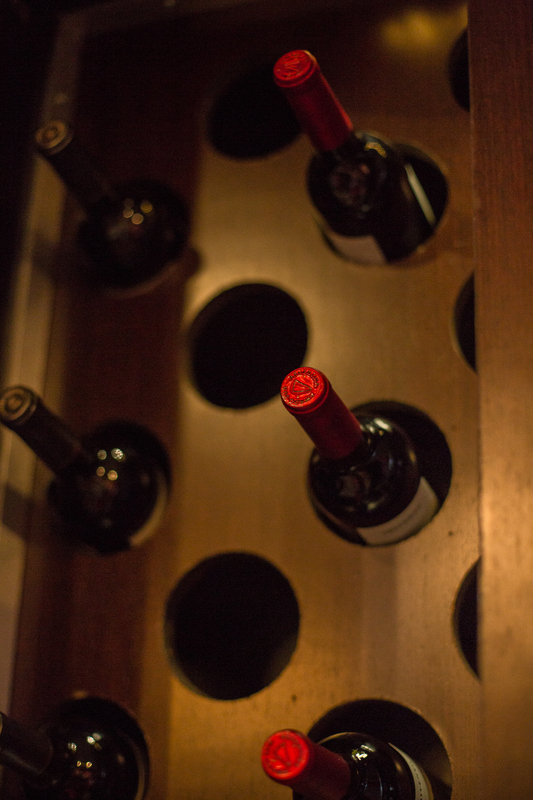 Served with house made redskin mashed potatoes and chef's vegetable. Rich custard with a caramelized sugar crust. Layers of white cake with blueberries, cranberries and rich creamy lemon mascarpone. New York styled cheesecake with a caramelized sugar crust. Traditional cheesecake also available. Layers of chocolate cake and chocolate mousse. GLUTEN FREE chocolate cake also available. A steakhouse classic served with cocktail sauce. With white wine, butter and garlic sauce. Served with garlic toasted ciabatta bread. Tender roasted asparagus wrapped in thinly sliced steak and bacon. Grilled and paired with citrus balsamic sauce. 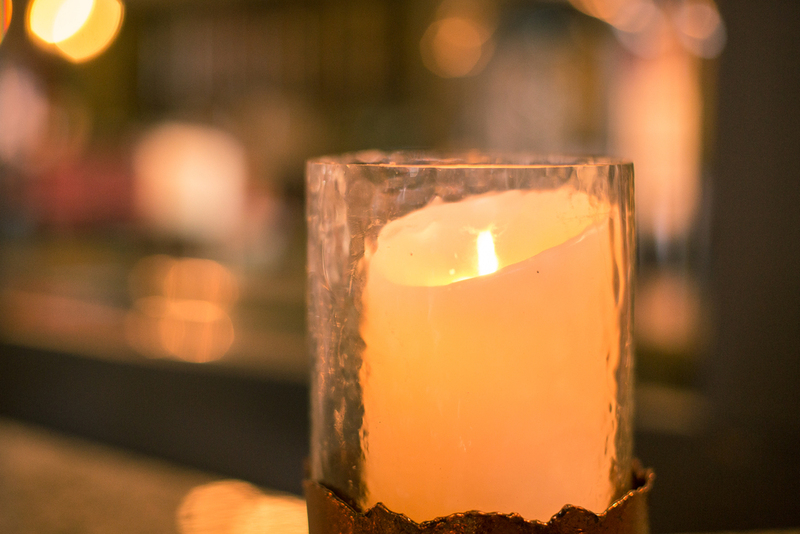 Each Early Evening entree includes honey wheat bread, your choice of salad, Early Evening dessert and your choice of tea, coffee or soft drink. 12oz choice cut, perfectly aged and marbled. Includes your choice of potato. 7oz/11oz Center cut. A very flavorful steak. Includes choice of potato. 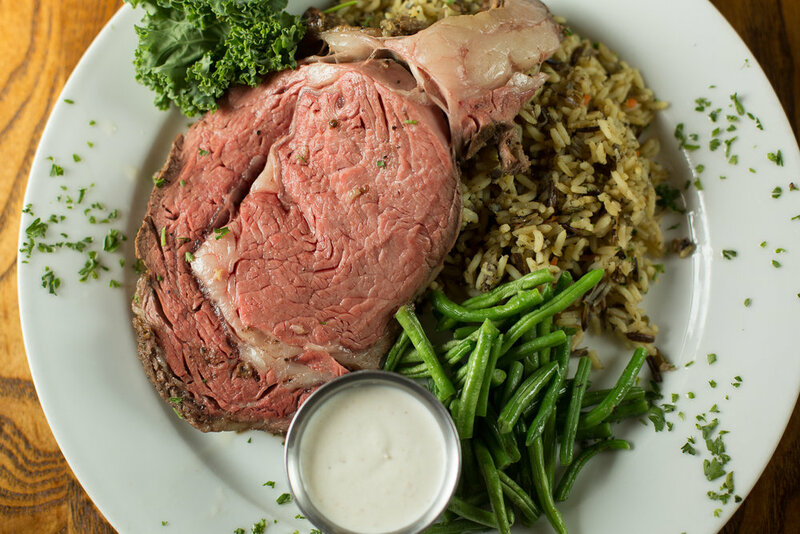 8oz/12oz Slow roasted with our special blend of seasonings for ultimate tenderness. includes choice of potato. Two skewers of bacon wrapped shrimp, served on a bed of rice pilaf with steamed broccoli and a pesto lemon butter. 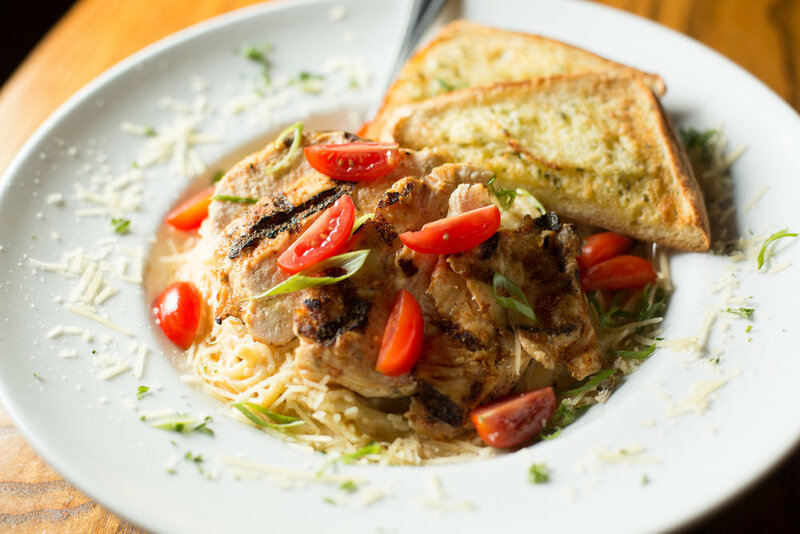 Linguini tossed in a spicy cream sauce with grilled chicken, parmesan cheese, tomatoes and green onions. Six tender shrimp sauteed in garlic butter and white wine with diced tomatoes and parmesan. Served with rice pilaf and toasted garlic bread. A tender grilled 6oz filet served with rice pilaf. Center cut bone in pork loin. Served with redskin mashed potatoes and chef's vegetable. 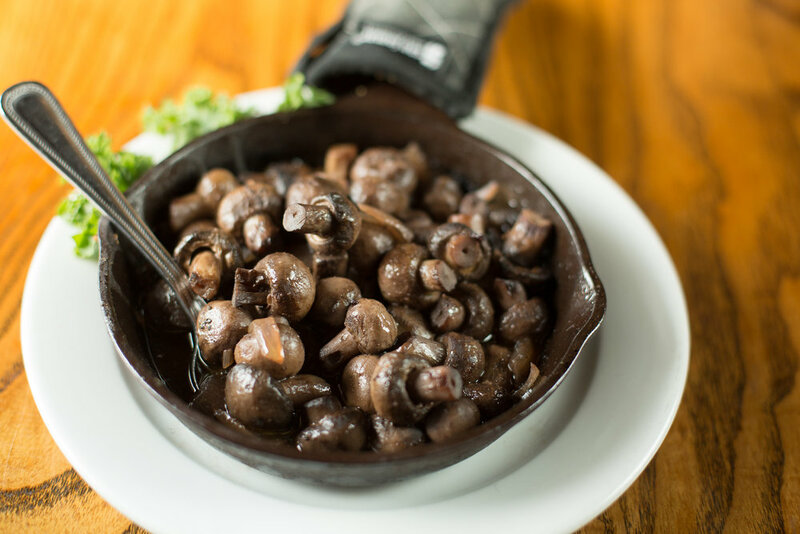 Mushrooms sautéed with burgundy wine and onions. Served piping hot in a cast iron skillet. Great steak topper. Fresh chopped salad greens and spinach tossed with our warm bacon vinaigrette, topped with a grilled chicken breast, bleu cheese crumbles, pecans, red onions and sundried tomatoes. 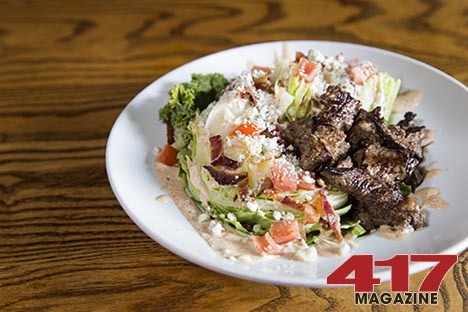 Steakhouse wedge, topped with Cajun bleu cheese dressing, bleu crumbles, green onions, diced tomatoes, chopped bacon and steak tips sauteed in Cajun spices. 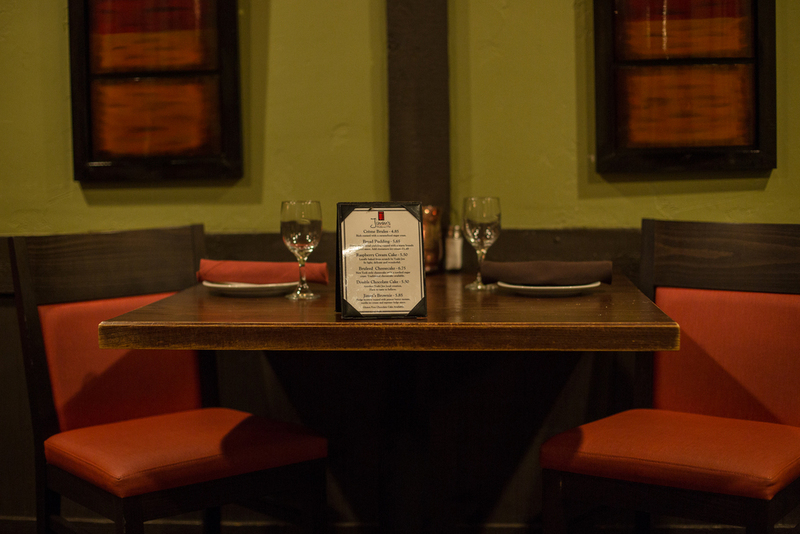 Crisp Romaine tossed with Caesar dressing and topped with grilled fresh Atlantic Salmon. Create your own garden fresh masterpiece from our traditional salad bar. 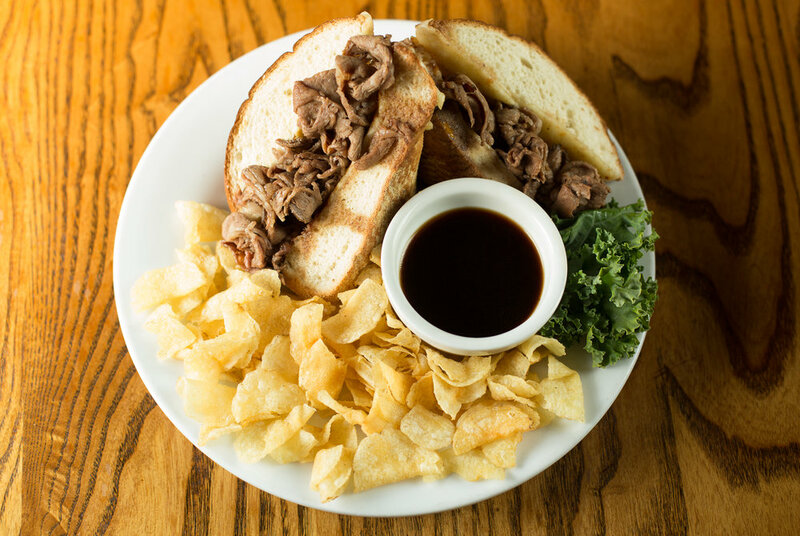 All sandwiches served with crisp kettle chips or baked French fries. Add a salad or cup of soup to your entree. Made in house with grapes, celery, candied pecans and red onion. Served on wheat berry or marble rye. Sauteed Sirloin tips served with grilled flatbread, caramelized red onion and horseradish cream cheese spread. 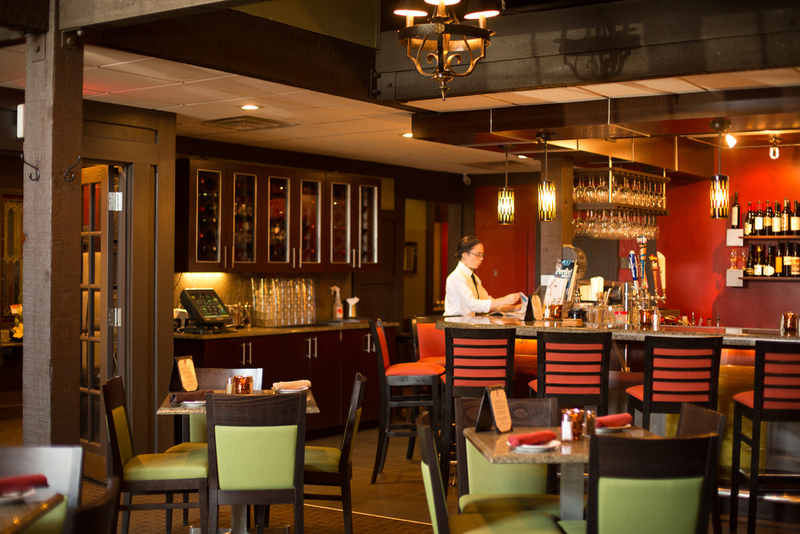 Fresh house-made Atlantic salmon burger grilled and served on a brioche bun with Chef's signature tartar sauce. A Jimm's favorite. Tender sliced corned beef, sauerkraut, Swiss cheese and 1000 island dressing on toasted marble rye. Certified Angus Beef burger topped with bacon and your choice of swiss, colby jack, provolone or bleu cheese. Hand cut and perfectly aged 6oz tenderloin filet. Served with a baked potato and choice of salad. 12oz choice cut, perfectly aged and marbled. Served with a baked potato and choice of salad. Fresh Atlantic salmon fillet, grilled and served with steamed broccoli. Jimm's slow roasted prime rib topped with provolone cheese and horseradish mayo on French bread, served with au jus. Smokey bacon piled high with cucumber, tomato, lettuce and red onion. Served on toasted wheat berry bread brushed with pesto aioli. 11oz center cut top sirloin marinated in our tropical blend. Springfield's favorite, served with a baked potato. Includes choice of salad. 7oz/11oz Served with a baked potato, includes choice of salad. 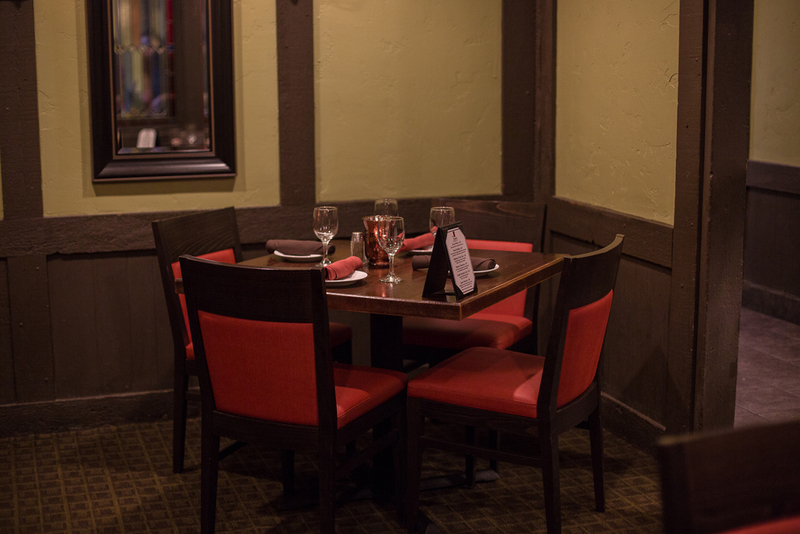 All steaks are served with baked potato and our traditional salad bar or Caesar Salad (no croutons) Our dressings on the salad bar are considered gluten free, however they may contain soybean oil. Center cut. A Very flavorful steak. 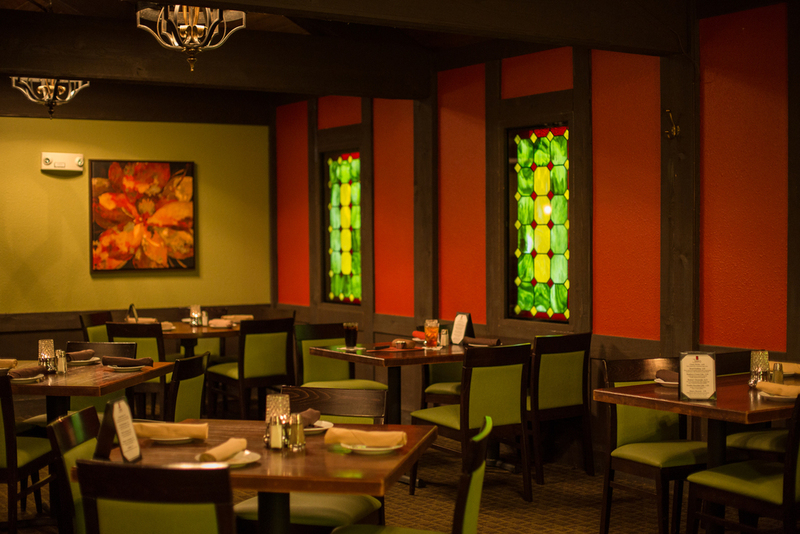 All entrees are served with your choice of our tradition salad bar or Caesar Salad (no croutons). Our dressings on the salad bar are considered gluten free, however they may contain soybean oil. Many of the sauces on the entrée section below are considered gluten free, however may contain soy. Half pound Certified Angus Beef burger topped with Colby Jack cheese. Two cold water tails served with broccoli and a baked potato. 12oz Grilled pork tenderloin served with a baked potato and steamed broccoli. Lemon Butter. Three skewers, served with a baked potato and broccoli. 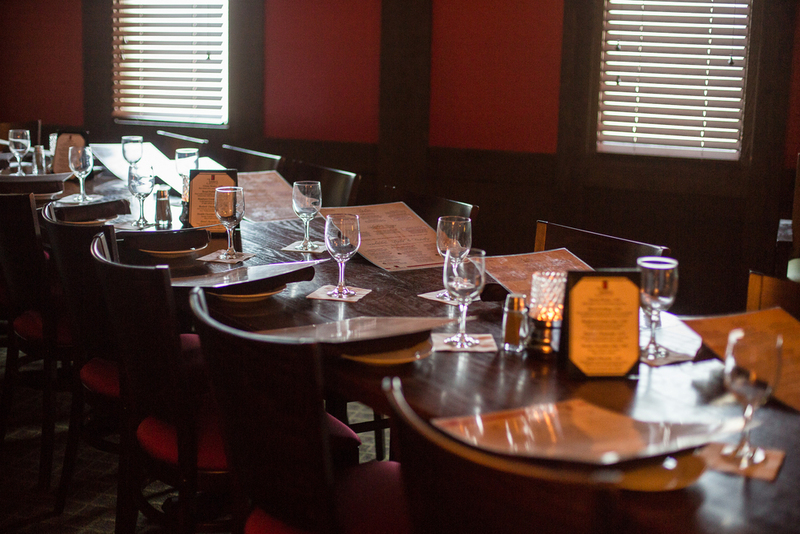 Drink Specials and $5.00 Appetizers from 2:00 to 6:00 Sun thru Friday. Boulevard Tank 7 Farmhouse Ale. 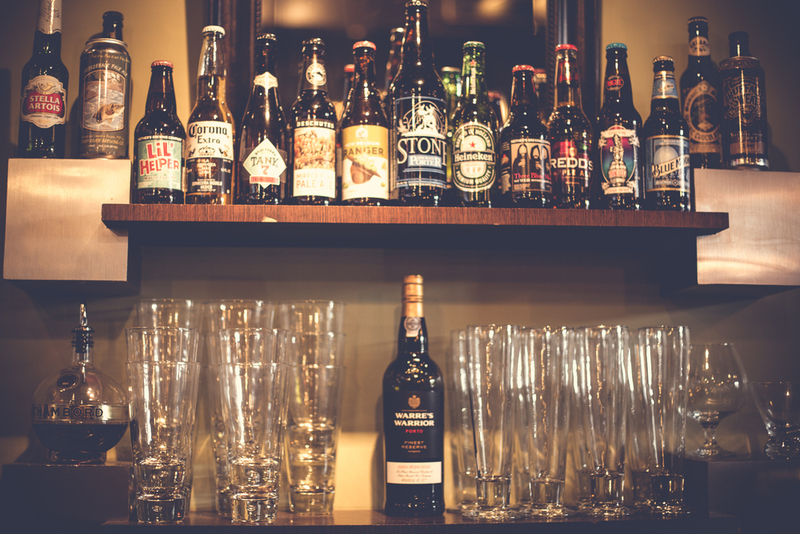 Ask you server to guide your selection. Montinore Reserve 2015 Pinot Noir (OR). 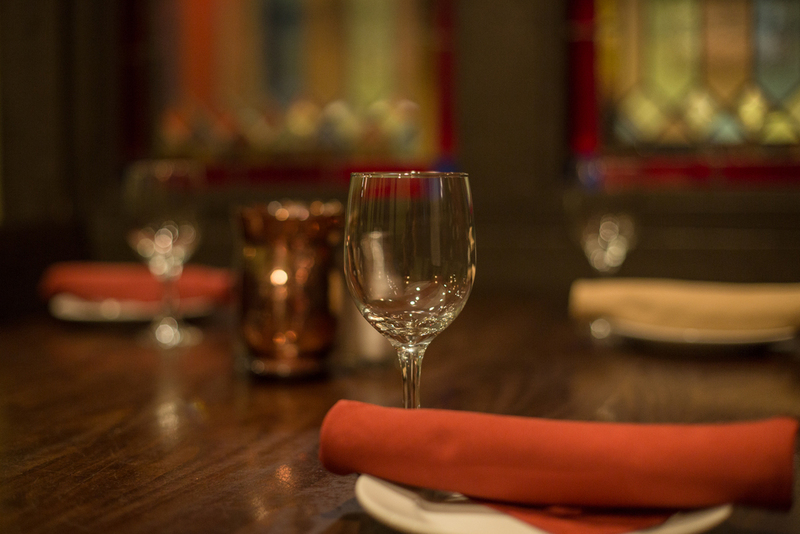 Ask your server for guidance.